Why you should get travel insurance for your holiday? 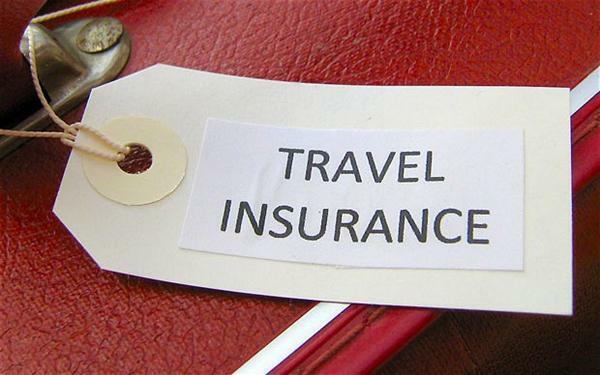 Many people forget the most important item when going away on holiday, travel insurance. Travel insurance is a holiday essential in protecting individuals and their families when unexpected events occur whilst away. Without travel insurance you could be exposing yourself to financial risk and potentially lose thousands of dollars. This could lead to a disaster holiday, a holiday cut short or a real inconvenience. Here a few great reasons why you should purchase travel insurance for you and your family whilst going away on holiday. The most common reason why people get travel insurance is due to medical emergencies. Anything can happen to you or your family whilst on vacation. Especially when in a new environment overseas, your immune system may not be used to the environment and may be more reciprocal to receiving viruses and bacteria. Or when travelling in a new environment some people are not aware of the dangers surrounding them and are more susceptible to getting into an accident. In some cases hospitals do not provide care, accommodation or consultation unless patients have insurance or cash up front. If you get into an accident, fall sick and your holiday is cancelled or cut short getting the right insurance will potentially cover you for all the money you paid for the holiday. It is important to ensure you and your family is covered to protect yourself in the case of a medical emergency or accident whilst away. Travelling is stressful enough yet alone worrying about whether your luggage will make it to the other end. Every year many airlines lose or mishandle people’s personal luggage. According to the Bureau of Transportation Statistics figures show that in the year of 2011 on average 3.39 mishandled baggage reports were filed per 1,000 passengersi. In some cases you may not be able start your holiday without your personal goods or anything to wear. However when covered with the right travel insurance you can be reimbursed for the essential items needed if your luggage has been mishandled. Don’t let your luggage worries ruin your holiday. It is important to ensure your personal goods are covered in the case of delayed or loss luggage. After a long flight around the world you find your connecting plane has been cancelled until tomorrow due to bad weather and you have to stay overnight at the airport hotel, what’s worse you find out your airline does not cover your accommodation and your clothing is in transit. In most cases airlines do not reimburse or cover any expenses due to weather causes, as it is not within their control. Natural disasters and bad weather occur frequently around the world and many holidays and airports are affected. Having the right travel insurance will cover you for delayed, cancelled flights and other expenses incurred due to weather and natural disaster causes. If you’re not sure whether any of the following events are covered in your travel insurance check the terms and conditions of the policy. When on holiday you should be relaxing not worrying about falling sick, missing luggage or bad weather, travel insurance will cover you when unexpected things go wrong. Stay worry free, get travel insurance and protect yourself and your family on your next holiday.